U.S. President Donald Trump is a man of controversy and nobody would be surprised if he caused another one. 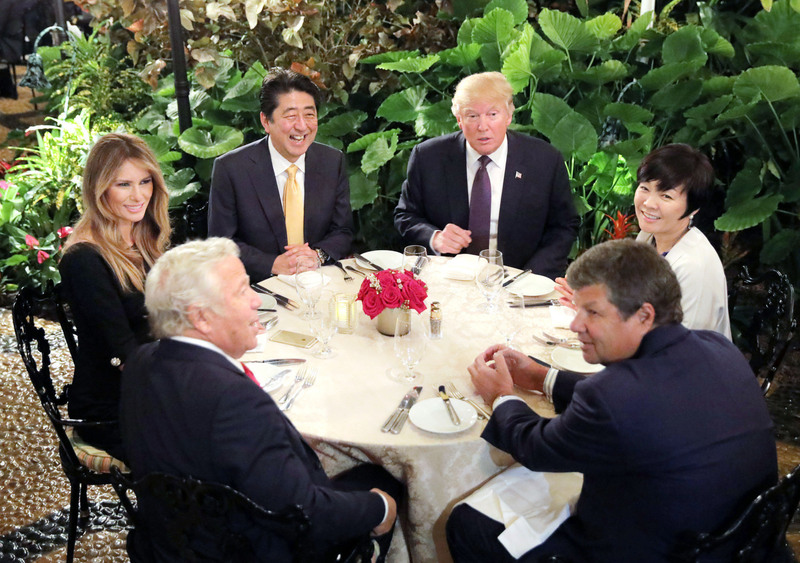 But during a recent interview with The New York Times, Trump kicked off an unexpected debate about Japan’s first lady: Can Akie Abe, the wife of Prime Minister Shinzo Abe, speak English? And if she can, how fluent is she? Trump asserted that she can’t speak English at all, and said she didn’t speak a word of it when he sat next to her during dinner with the Group of 20 leaders and their spouses in Hamburg, Germany, earlier this month. 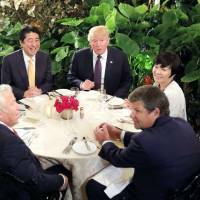 “So, I was seated next to the wife of Prime Minister (Shinzo) Abe, who I think is a terrific guy, and she’s a terrific woman, but doesn’t speak English,” Trump was quoted as saying by the Times on Wednesday. Several U.S. media outlets immediately responded, pointing to an online video of Akie’s 15-minute speech in English on Sept. 25, 2014, at the Ford Foundation in New York. “Trump falsely claims Japanese first lady doesn’t speak English,” read a headline in the New York Post on Thursday. “The video of her speech to the Ford Foundation in New York in September 2014 was posted to Twitter, where wags speculated that Akie Abe may have pretended that she didn’t speak English — so she wouldn’t have to talk to Trump,” the article said. The Washington Post carried a more analytical story Thursday, pointing out that Akie Abe was consulting a script in the video, and quoting several sources as saying that they never saw her speak English. “Footage from her past visits shows that she has almost always used a translator when in the United States,” the article said. The article also pointed out that some foreign officials are concerned about protocol and worried about misspeaking if they are not speaking in their native language. Akie Abe probably knows some English but is not fluent, given her academic background and her own comments about her English ability. She graduated from the English Department of Sacred Heart Professional Training College in Tokyo. But in her book published in 2015, she wrote that she “can’t speak English” although she studied it at the vocational school. The Japan Times contacted the Foreign Ministry seeking a comment from Akie Abe for this article but none was available before publication. An official at the ministry, however, confirmed that the first lady did have an interpreter on hand when she sat down next to Trump for the dinner in Hamburg.